When Windows starts it loads a bunch of system DDLs and will throw an error if there was an issue with any one of them. 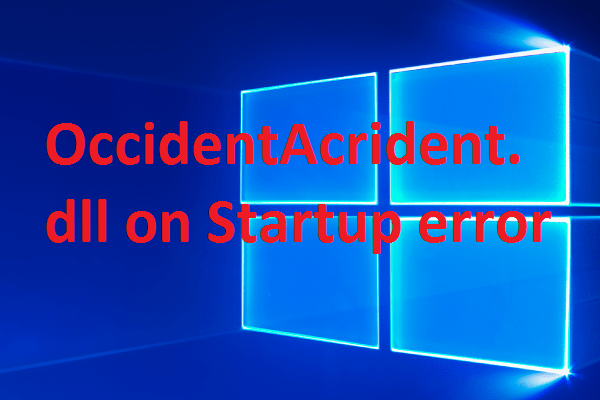 The OccidentAcrident.dll startup error, as the name implies, is an error you’ll face on startup. The most common way you’ll receive this error is after upgrading to Windows 10 or installing some program. As mentioned above, this is a startup problem. That’s why this program is immensely useful. It lets you look at what processes run at startup, when built-in Windows programs start, and how they are configured. It is basically a one-stop shop for anything related to Windows startup. We’ll see how we can use Autoruns to fix this problem. 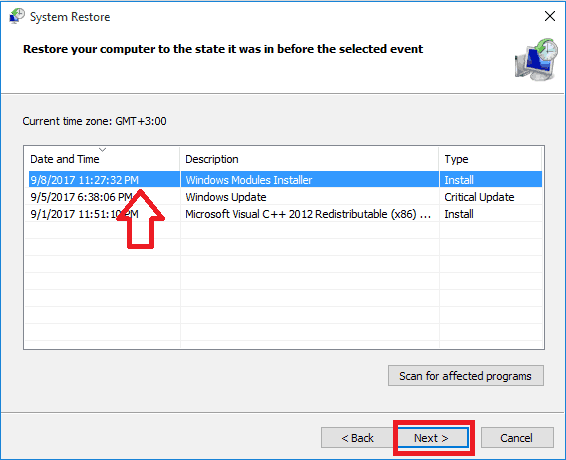 You should create a system restore point because we are treading dangerous grounds. If you don’t know how to do it, you can follow our tutorial. Autoruns will download in the form of a zip. If you have 32-bit Windows, you should right-click on Autoruns.exe, or you should right click on Autoruns64.exe if you have a 64-bit Windows. In both cases, click Run as an administrator after right-clicking on the file. After Autoruns opens, try to locate entries with a yellow color and an Image Path that begins with File not found. This signifies that there is a rule that specifies running a certain program at startup but the file that is supposed to be executed is not found; those files could contribute and relate to the error you are facing. On finding any such entry, right-click on it and choose delete from the drop-down menu. Double check that you’ve deleted all the entries and then restart the computer, and you should be good to go. Read also: Fix: Windows 10 Automatic Repair Couldn’t Repair Your PC. This is a tedious method that will involve you restarting your computer a dozen of times so we recommend that you try all the other options before this one. Start Autoruns with administrator privilege. Examine whether the publisher of an entry is Microsoft Corporation or not. 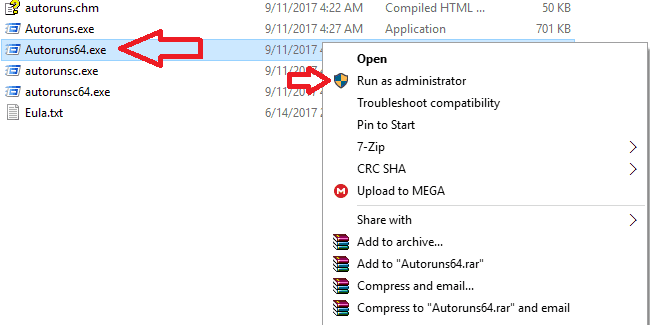 If it has a third party publisher, uncheck the entry and restart your computer. If the problem still persists, that means that application wasn’t the problem, and you should enable it again. Repeat step 1-4 for all the third party entries one by one. If you didn’t face the error after disabling a certain program, most likely, it is the culprit. Right-click on the Start button and select Control Panel. Open Recovery by searching for it in Control Panel. 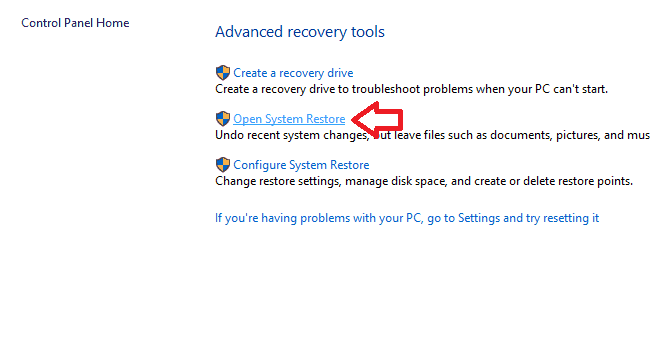 Click on Open System Restore. Click Next and you’ll see a list of restore points. The best restore point would be one that is recent and predates the error. Select the restore point and click next. Windows will show you a list of hard drives that will be affected. Click Finish to begin the restoration process. Using an installation media gives you two new ways to recover your system. Before we start, naturally, you must have either a disc or USB with Windows’ installation files on it. If you don’t have it, you can easily create it by following the instructions in this article. Read also: The Windows Tips app helps you get better with Windows 10. You can reset your computer to its default state. This will remove all of the installed applications and restore all the settings, but lets you keep your files if you choose so. Connect the installation media to your computer and then restart it. Boot from the installation disc or USB. How you do this depends on the manufacturer, and if you don’t know how to do it, you should check their site or your computer’s user manual. Starting the installation, choose the language you prefer and click Next. Choose Repair your computer, then click Troubleshoot. Finally, select Reset this PC. This should reset your PC and solve your problem. Reinstalling Windows will delete everything, including applications; updates; drivers; and personal files, so you should think it through. If you are sure, then you can follow the detailed instructions provided in this article to do it. OccidentAcrident.dll error is a DLL error and those are generally quite hard to fix. We hope these methods have helped you get rid of it. Use the comments section below to tell us how your efforts went, if there has been another DLL error you faced in the past, and if we’ve forgotten to mention an easier way to get rid rid of this error.